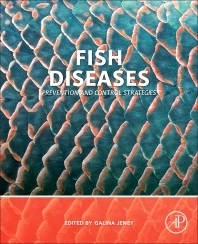 Fish Diseases: Prevention and Control Strategies provides essential information on disease prevention and treatment by the most experienced fish culturists in the industry. The book presents both traditional and novel methodologies of identifying and addressing fish disease risk, along with preventative and responsive insights to the challenges impacting fish production today. Both specific (vaccination) and non-specific (immunostimulation) approaches are explored, from maintaining optimal environmental conditions, to understanding how stressors in fish affect their immune system. 2.1. How to Assess Disease Resistance in Fish? 5.1. The Concept: What Are Integrated Pathogen Management Strategies and Why Does Aquaculture Need Them? Galina Jeney is a Scientific Adviser for NAIK Research Institute for Fisheries and Aquaculture (HAKI), in Hungary. Her research expertise is in the area of immunostimulants and immunology of fish and fish disease resistance challenges. She has more than 35 years of research experience, and has published more than 200 scientific publications.